A Grammy winner, a Texas Music pioneer and an alumnus of The Voice are a few of the credentials of artists who will be performing at the 2017 Fort Bend County Fair. The entertainment lineup has been officially revealed, and fourteen singers representing Texas Music, Traditional Country, Tejano and Classic Rock/80s will be taking the stage during the Fair’s 10-day run from September 29th to October 8th. Kevin Fowler, Kyle Park, Rick Trevino, Mary Sarah and Johnny Bush are just a few of the headliners. “We are excited to bring this group of artists together for our fair, a few of the headliners are returning and others will be making their debut. If you like good music, you will love our lineup,” said Ernest Lawson, Fort Bend County Fair President. 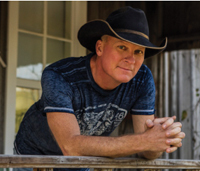 Kicking off the Fair will be Texas Music veteran and mainstay Kevin Fowler. Steeped in the old-school charm of classic country music, amped up with a modern energy all on his own, Fowler’s concerts are like no other. “I think some bands have fans, but our fans are more like my road family,” shared Fowler. “They have been coming to our shows and having fun with us for over 16 years now.” Opening for Kevin is Fort Worth’s favorite son Randy Brown. 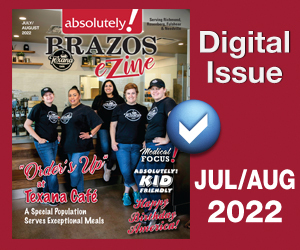 Brown, a talented musician, prides himself on being a hard-core, honky-tonk performer and has been previously named Academy of Texas Music Male Vocalist of the Year. 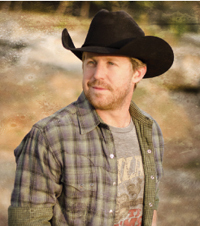 Kyle Park returns to headline the fair on Saturday, September 30th. Park’s influences range from George Strait to the Rolling Stones. “I’m more comfortable with who I am as a musician and as a fan of music,” said Park. “It would be easy for me to keep making the same record over and over and just have fiddle and steel – a good, clean, nice traditional record. I’m not looking for shock factor, but I am looking to stand out amongst the crowd as far as pushing boundaries.” Opening for Park is Jesse Raub Jr.
Go Tejano day is full of top talent. Vision, Las Fenix and Siggno will be returning to the fair on Sunday, October 1st. Las Fenix is an all-female band, who smashed their performance last year with their accordion-infused music and dance moves. Grammy Award winner Siggno, who have had a busy year playing the rotating stage at RodeoHouston, will be headlining. Debuting at the fair is the Tailgaters on Wednesday, October 4th, and an acoustic concert by East Texas Ramblers on Thursday, October 5th. The Tailgaters are a unique party band that cover the classics. East Texas Ramblers, featuring Jody Booth, Jason Allen and Tim Nichols, offer a unique experience for all music lovers. These talented artists combine their vocals and musical skills to provide a performance showcasing their undeniable blend. Grammy Award winner Rick Trevino kicks off the fair’s second weekend on Friday, October 6th. Trevino is a power-house vocalist and performer who had a string of hits in the mid-1990s. Jamie Richards, the self-proclaim country boy from Oklahoma, will bring his smooth voice and rugged sound to open for Trevino. 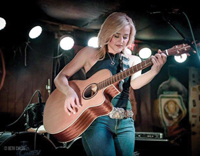 The darling of country music, Mary Sarah, is coming home to perform at the fair on Saturday, October 7th. 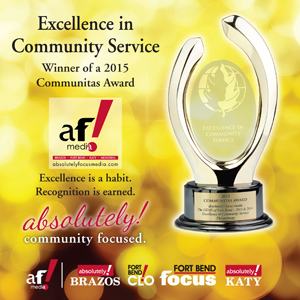 In 2016, America embraced the one-time Fort Bend County resident on the #1 rated TV show in the country, The Voice. Her blind audition garnered her a four-chair turn singing country’s iconic “Where The Boys Are” by Connie Francis and a spot on Blake Shelton’s team. Moses Rangel, a local favorite, is opening for The Voice alumnus. The prolific and legendary Johnny Bush will close out the fair on Sunday, October 8th. Bush, a native Houstonian, is known for his iconic hits such as, “Green Snakes” and “Whiskey River,” which he wrote and recorded, but became Willie Nelson’s signature song. The fair will once again have nightly rodeo action, carnival rides, fried foods and a wine room. This year, the newly constructed A.P. George Livestock Barn will be home to most of the livestock judging shows. Tickets for the 2017 Fort Bend County Fair are on sale now. 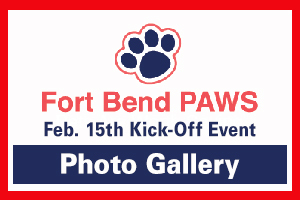 For information, visit www.fortbendcountyfair.com.